In the late ‘80s and early ‘90s, the American hip hop scene experienced a beautiful collision with jazz. Groups like A Tribe Called Quest and De La Soul gained a fair amount of fame from this movement. Let’s dedicate some time to another one: Digable Planets. When I first discovered Digable Planets, my attention was immediately drawn to the presence of a female rapper. It caught me off guard to hear Ladybug rapping confidently alongside Butterfly and Doodlebug in the group’s Grammy award-winning single “Rebirth of Slick (Cool Like Dat)”. My surprise quickly turned into admiration for their smooth flow. Listen to how their voices glide in “Where I’m From” (below). The mellow sound of their music makes for easy listening, although it’s a bit of a juxtaposition to the content of their lyrics. 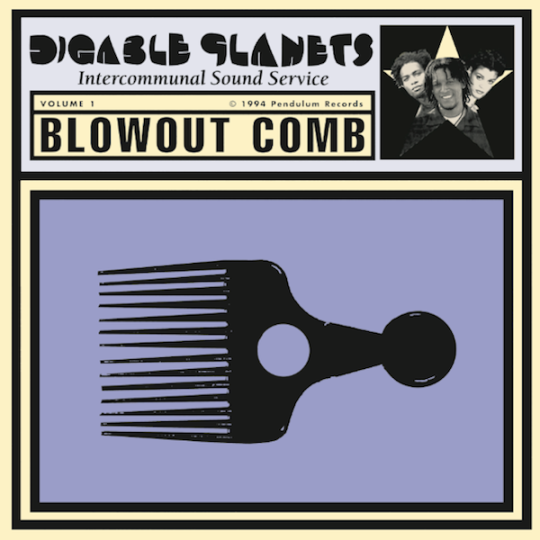 The trio’s second and final release, Blowout Comb, is a highly politicized production. It’s interwoven with far-left, Afrocentric messages and references to race and class on the East Coast. “Black Ego” highlights Butterfly’s interaction with a police officer, while “Dial 7 (Axioms of Creamy Spies)” evokes imagery from the Five Percent Nation. Other tracks like “The Art of Easing” shine a light on the realities of urban life in Brooklyn. Unfortunately, after only a few years together, Digable Planets disbanded as a result of creative differences. Seattle native Ishmael Butler (Butterfly) is now a member of alternative hip hop group Shabazz Palaces. Doodlebug, aka Cee Knowledge, is the lead member of Cee Knowledge and the Cosmic Funk Orchestra, while Ladybug Mecca embarked upon a solo career. Despite their short time together, Digable Planets’ sophisticated rhymes and jazzy rap remain fresh two decades later. I welcome this blast from the past every time I hear them, and I hope you all can do the same. Check out more music and news from Rainy Dawg Radio @ RainyDawg.org! RDR Essentials is a weekly newsletter of alternating genres that outlines key releases of the past month, upcoming events around Seattle and happenings in the specified music genre. Made in collaboration between Rainy Dawg DJs and the Music Director.